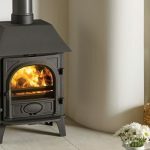 With spring in the air, you may have read our recent blog post on how to clean your stove, whether you own a wood burning stove, gas stove or an electric fire. 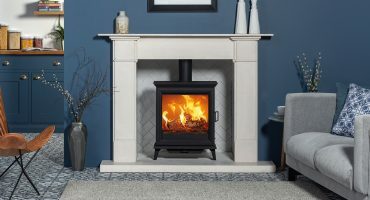 If you own a wood burning stove or multi-fuel stove, it is also essential to maintain your chimney each year, as the health of your chimney plays a big part in how your stove functions. 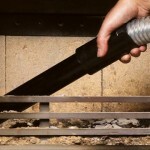 Home » Blog » Posts » Advice & Information » Chimney maintenance – why is it important? Depending on how often you use your solid fuel stove or fire and the fuel you burn, a chimney can need sweeping up to four times a year. Your flue needs a clear exit so that combustion gases can leave your home, so it is essential that your chimney is swept so that it remains clear of obstructions. Aside from cobwebs, tar, and creosote that can all build up in your flue, other obstructions can occur, such as birds’ nests. These can all be hazardous, having potential to cause chimney fires. You can find a local qualified chimney sweep using organisations such as National Association of Chimney Sweeps (NACS), Guild of Master Chimney Sweeps or the Association of Professional Chimney Sweeps (APICS). A qualified sweep can assess your chimney and carry out necessary cleaning. They will also be able to offer further advice and answer any other questions you may have. It is also essential that you burn the right kind of fuel in your wood burning fire. 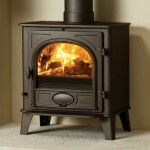 The quality of the wood you burn plays a big part in the health of your stove and your chimney. Poor quality wood tends to have a high moisture content. When ‘wet wood’ is burnt, it produces tar and creosote that can not only damage your flue but can also increase the risk of a chimney fire. We also advise against burning treated wood, such as old pallets or furniture, as these product harmful gases. If you are wondering how you can tell if the wood you burn is of good quality, look for the Woodsure ‘Ready to Burn’ label. Woodsure is the UK’s accreditation scheme, which certifies the wood is of a good quality with less than 20% moisture content. If you are sourcing your own firewood, ensure that it has had enough time to season and dry out. We recommend that firewood should be left to dry for a minimum of 12-18 months before being used, but you can check if your wood is ready by using a wood moisture meter and seeing that the wood shows as having a moisture content of less than 20%. One of the biggest factors in the health of your chimney is the appliance you are using. The more efficient your wood burning stove, the more you can protect your chimney. 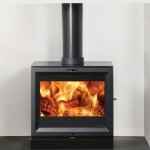 The latest wood burners boast Ecodesign credentials. 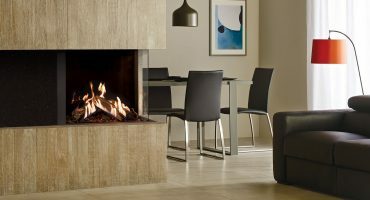 An Ecodesign Ready wood burning stove has been designed to reduce emissions to a minimum, burning more efficiently and improving the quality of the burn. 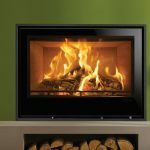 Using good wood in an Ecodesign wood burner can help towards keeping your chimney clean. 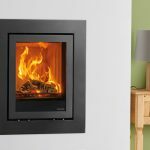 Stovax offers a wide range of Ecodesign ready wood burners, plus there are many Ecodesign stoves across our various distributed brands including Nordpeis, Varde, Lotus and Dovre wood burning stoves. 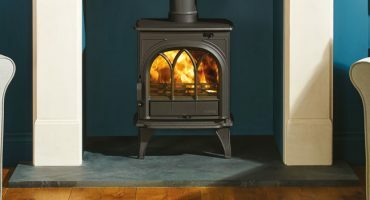 Contact your local retailer if you are interested in upgrading your old stove to an Ecodesign wood burning stove.